Bloomberg Businessweek is the indispensable global resource for business leaders worldwide who rely on us to move their businesses, careers and investments forward.We filter the noise and give professionals timely access to the information they need to make smarter decisions.Through trusted content and intelligent context, our forward perspective and useful insights inspire our audience to turn ideas into action. For a deeper understanding of the trends that drive growth, how technology creates opportunities, and what best practices keep them ahead of the competition, leaders of today and tomorrow turn to Bloomberg Businessweek for information and inspiration they can’t get anywhere else. 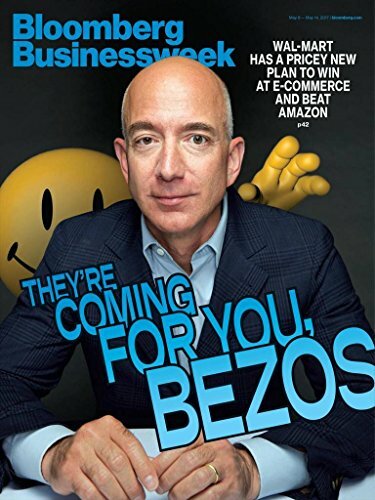 The Kindle edition of Bloomberg Businessweek contains articles found in the print edition but will not contain images or all tables. For your convenience, issues are auto-delivered wirelessly to your Kindle.